Rad-fi drum machine with sequencer, pitch-adjustable samples, and MIDI. 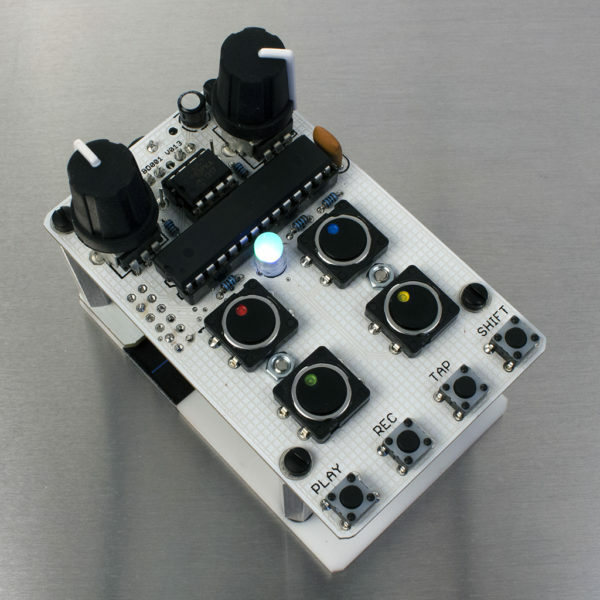 The Bleep Drum is an Arduino based lo-fi rad-fi drum machine designed by Dr. Bleep. – Four selectable sequences with 32 steps each. 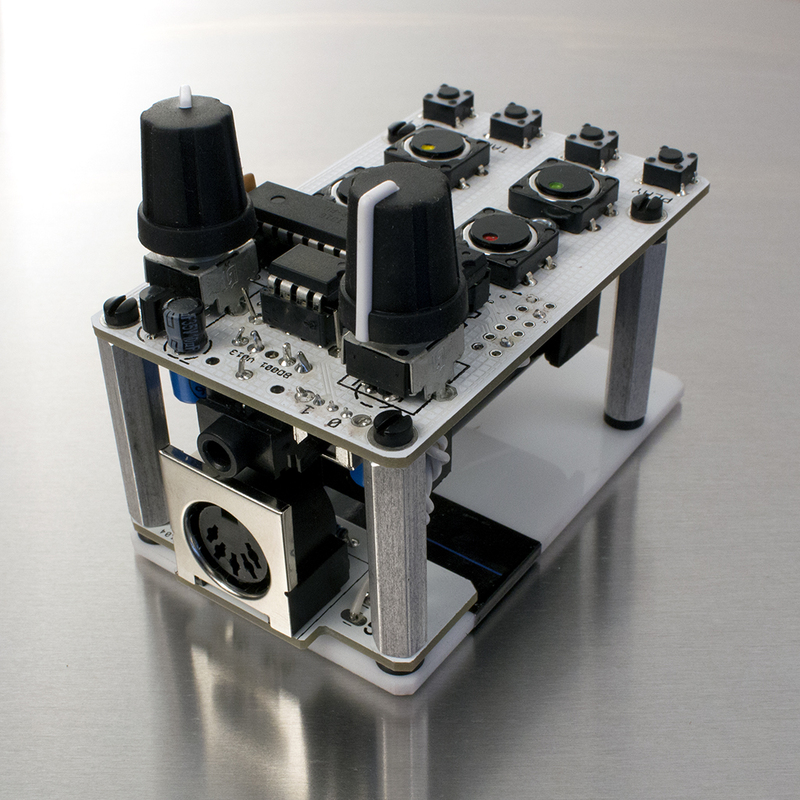 The Bleep Drum is available as a fully built device with a MIDI input. This allows you to trigger the four samples, toggle noise and reverse modes, as well as change the pitch of all four samples with any device that can send MIDI. How do you listen to it? 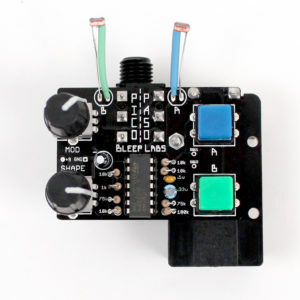 The Bleep Drum has a phased stereo 1/8″ output. This means that through headphones it will sound nice and huge even though it’s really just a mono signal that is flipped on one channel. To plug it into a mixer, amp, USB interface, etc, a mono cable must be used. 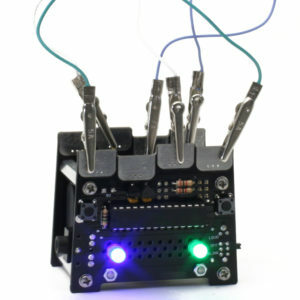 The MIDI retrofit kit works with any Bleep Drum? Yes. 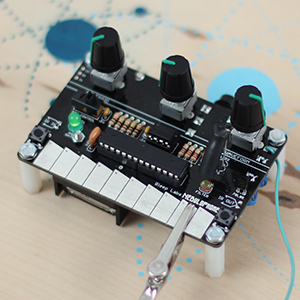 The retrofit kit includes a chip programmed with the newest Bleep Drum code. This contains the Bleep Drum sounds so if you can upgrade from a and Dam Drum hardware but the sounds will be that of the Bleep Drum. Soldering is required with this kit. Can I add my own sounds? Yes but you have to mess with the code a bit. See this guide for more info. How is this different than the Dam Drums? The Dam Drums are limited edition devices for Dam Funk. The Bleep Drum is the same hardware but has different sounds as well as HYPERNOISE 30XX mode.